Each set has 30 types of tools including screwdrivers, spanners, a chisel, a mallet, steel ruler, wooden square, set of allen keys, a clamp, 2 cutting saws, a hammer, pliers, safety glasses and a few more small bits for the trainee. 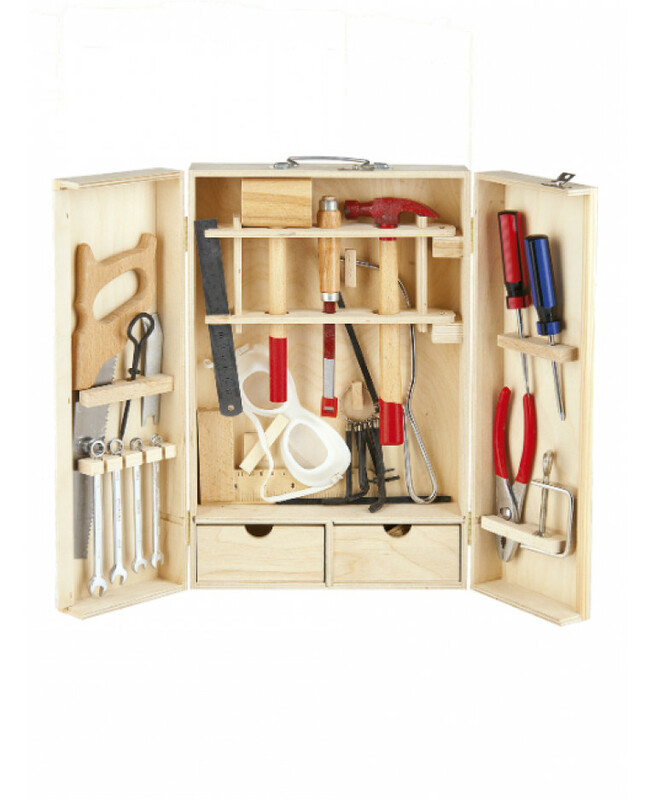 This fantastic Wooden Tool Set is ideal for the young trainee wishing to learn to skills of the trade. The 30 piece set includes screwdrivers, spanners, a chisel, a mallet, steel ruler, wooden square, set of allen keys, a clamp, 2 cutting saws, a hammer, pliers, safety glasses amd more, all encased inside a wooden tool case ready for you to carry all your tools around in. 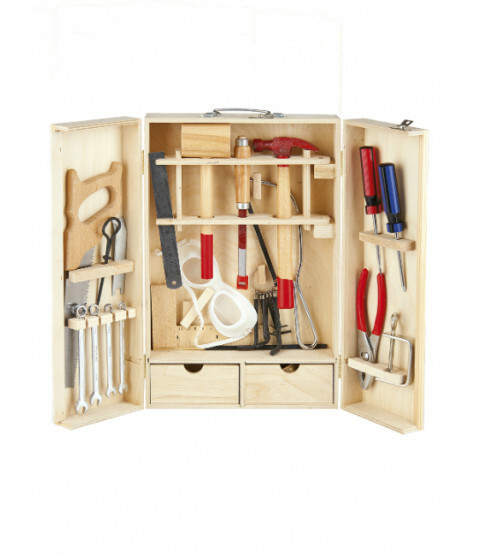 The case opens and stands upright and is also suitable for hanging - ready for you to use your tools!